It's been over a month since my last blog post, but there's still been plenty of sewing, and plenty of thinking, happening here. 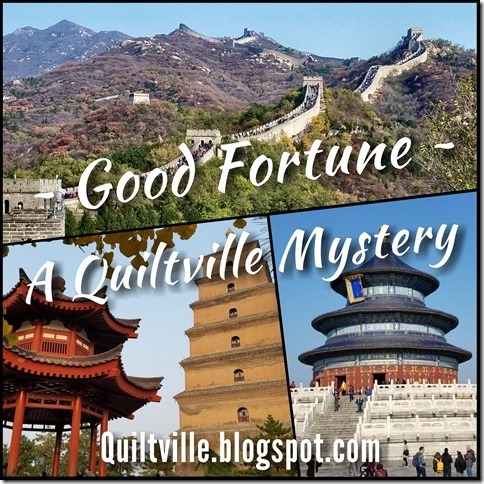 I've done a lot of work on Bonnie Hunter's most recent mystery, On Ringo Lake, and it's going well. But, I've changed mine so much that it doesn't look much like Ringo Lake any more, and I've been quite perplexed by how to describe that process. My first Ringo Lake post was in November, and after that it's just been Instagram. I always call myself a "process blogger," but I'm not sure that is serving me well any more. For the next while, I'm going to focus more on milestones and finishes, and see how that goes. So anyway, I think On Ringo Lake is a gorgeous block, and I've been a little jealous of all the great versions that are being shared on the link ups, since mine will be so different. 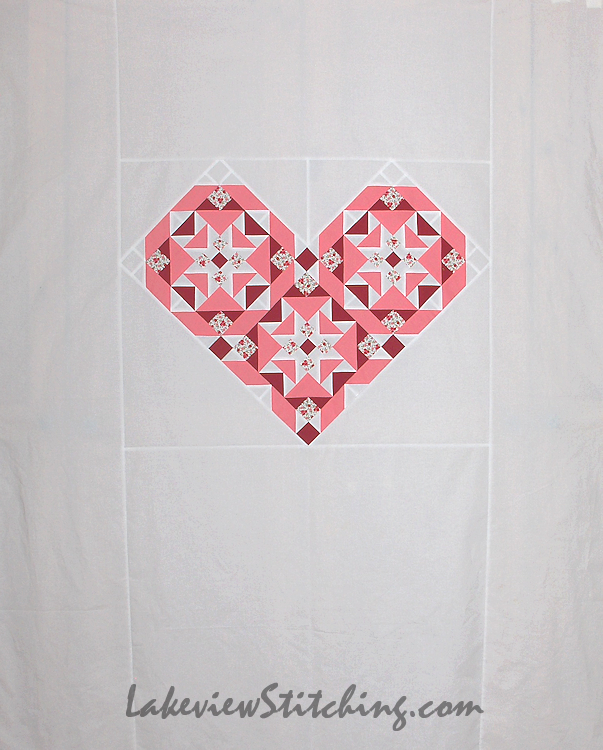 In the January 8 link up, Wooly Quilter had three blocks on her design wall in the shape of a heart, and I thought that would be a great quilt right there. I always like hearts, and it gave me an excuse to make the block as written, so I went for it! ...some really wide borders, done! Three days, so that is my fastest make yet. Right now it is 56" x 72" (142 x 183 cm). I'm so glad I went ahead. I love the crystalline look it has. All the fabric was in my stash. The solids are Kona, the pink is COTY 2017, pink flamingo. I don't know when or why I bought the white, but it was a little worse for wear so I was glad to finally use it well. 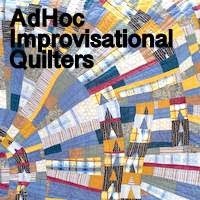 I know a professional quilter would have a field day with those wide open spaces, but, I think I have a simple idea that I can do myself. 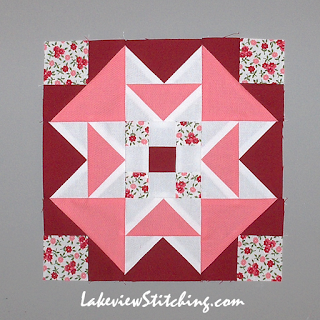 Into the quilting queue it goes! My first Ringo Lake project, which I'm now calling Ontario Shores, is at the "just a nine patch" stage. 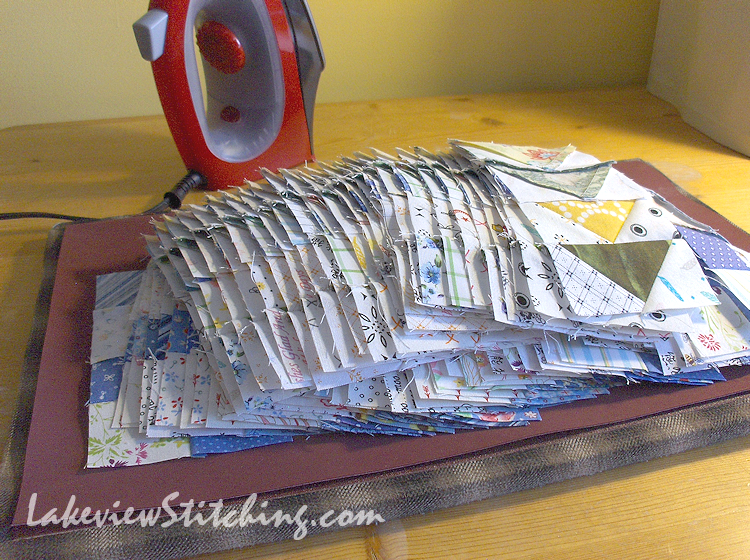 These are the first 25 blocks, lined up and ready to sew. 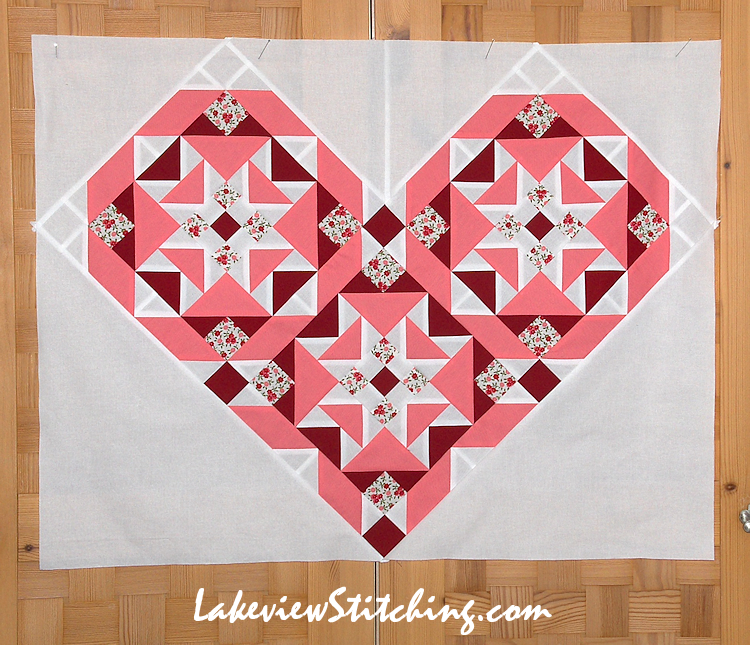 I love the block, I LOVE the heart and no. . .I hope you opened your new toy and tried it out before stitching those other blocks! I'm glad you've been sewing and thinking which is a whole lot better than recovering from something unpleasant! OH wow! It is a perfect heart! Love this. You are so right, the blocks as a heart shape work perfectly. I love it and pinks and reds are favourites of mine. So pretty! 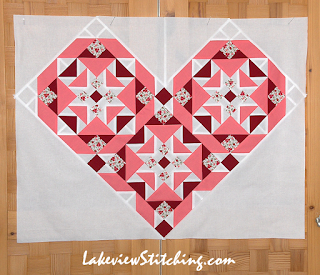 What a wonderful Valentine heart quilt. 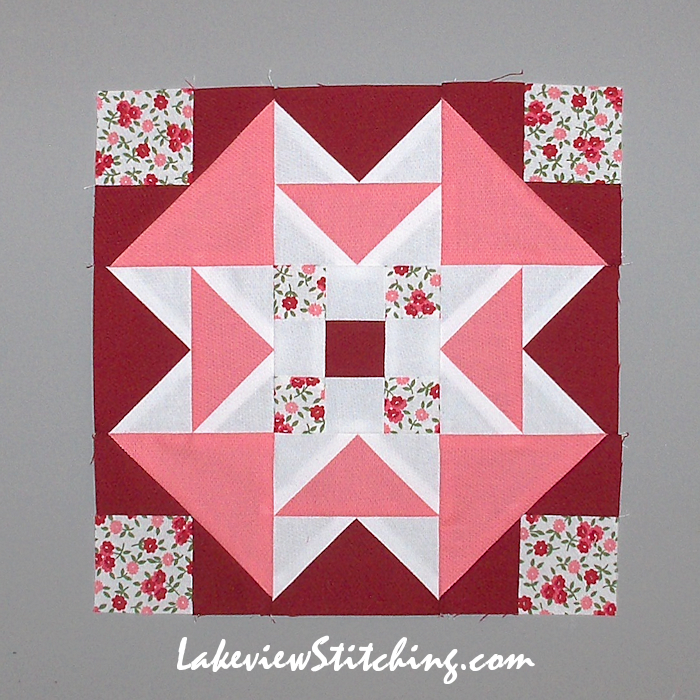 That open space will be perfect for some interesting quilting. 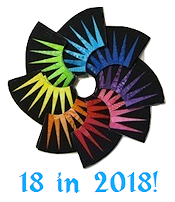 Love the idea that your calling your other quilt Ontario Shores. It's wonderful! 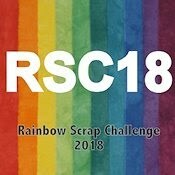 Thank you so much for participating in this year's mystery! 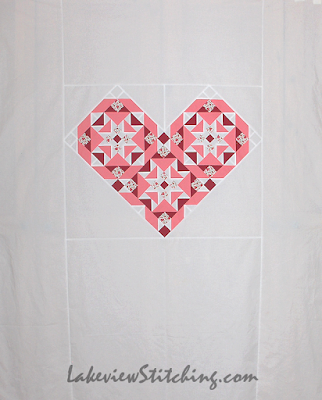 Your Heart of Ringo quilt is so charming! Lovely colors for the blocks and motif and suits you very well. :) I think for most of us our blog writing just keeps evolving. Just do your own thing and don't worry what to call it! It does sparkle and shine like a gemstone. Lovely top, Monica. I didn't know what an Eversewn Sparrow 30 was, but I've looked it up now - I bet you are going to have lots of fun with it. 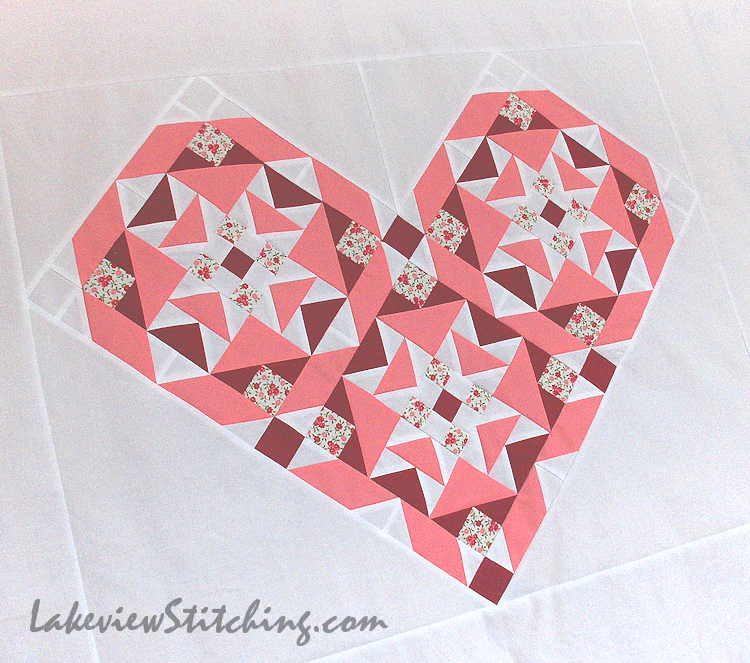 I like your top a lot - the block really does make that heart look like a faceted gemstone. I had to look up Eversewn Sparrow 30. I figured it must be a sewing machine, but wasn't going to comment until I had checked it out! It looks very swish. I bet you are playing with it by now and cooking up all sorts of plans. 'Crystalline' is a good word to describe your block. It is really crisp, but also has a fascinating 3D effect. It reminds my of Alan Garner's The Owl Service - sometimes she's owls, sometimes flowers. I keep seeing the block quite differently. It's great. I haven't been blogging either. I mostly post on Instagram as well. 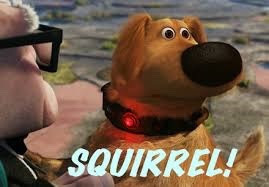 But I realized I hadn't seen any of your postings in quite a while. I just got back from Paducah where I was almost overwhelmed by the quilts. Frankly I didn't look at the entire show because it all just started glazing over. I did make some good inroads with the vendors however. I like what you did with on Ringo Lake.I didn't even start mine.